We’ve all been there – scrabbling around in your handbag for keys, lipstick, pens, etc, etc. Our canvas pouch is here to change all that. The perfect throw-in-your-bag solution, this piece has a spangly lightning bolt or glittery stars to add some sparkle. 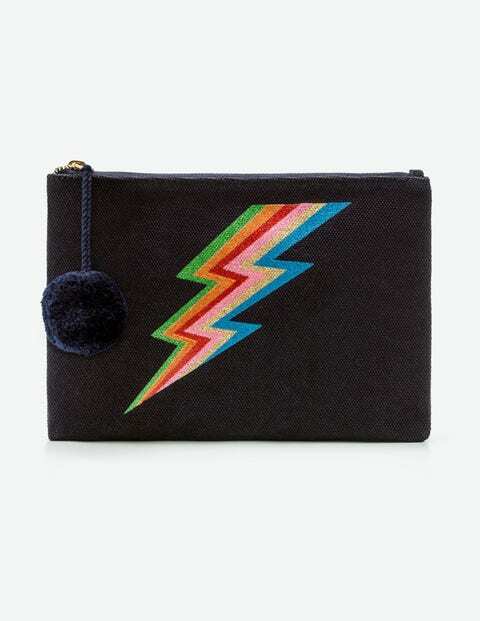 The zip closes with a pompom because, well, who doesn’t love pompoms?